laberal: Tony Abbott puts Bronwyn Bishop on probation. Cartoon. 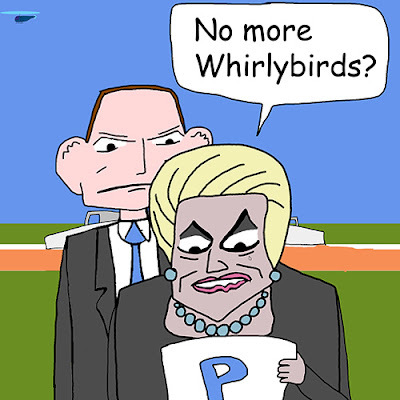 Tony Abbott puts Bronwyn Bishop on probation. Cartoon. Bronwyn Bishop hangs on. Cartoon. The State of Australian Politics. Cartoon.